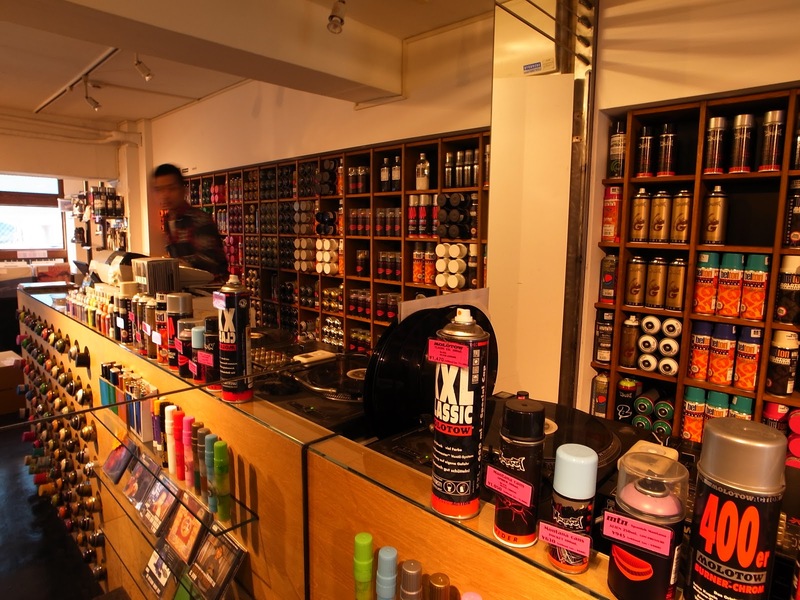 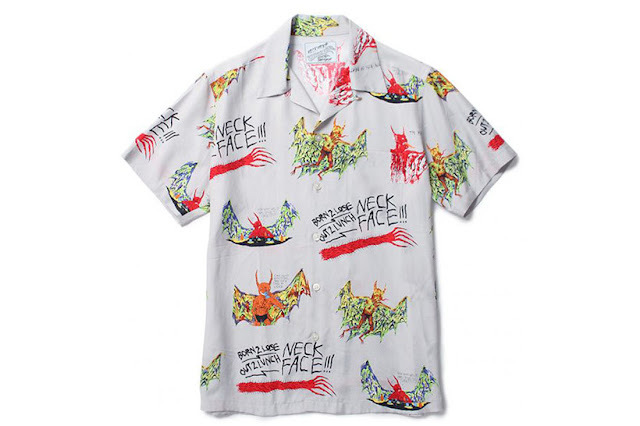 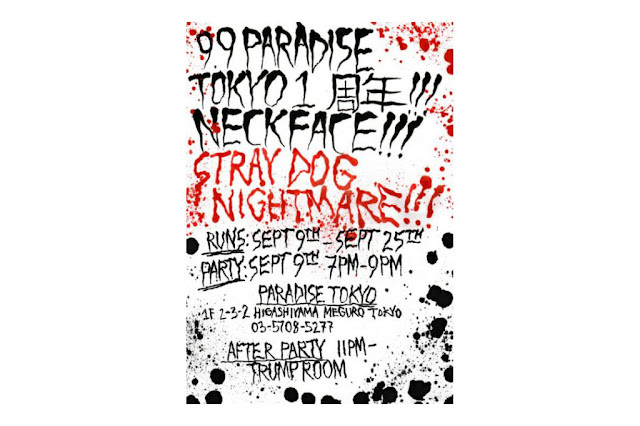 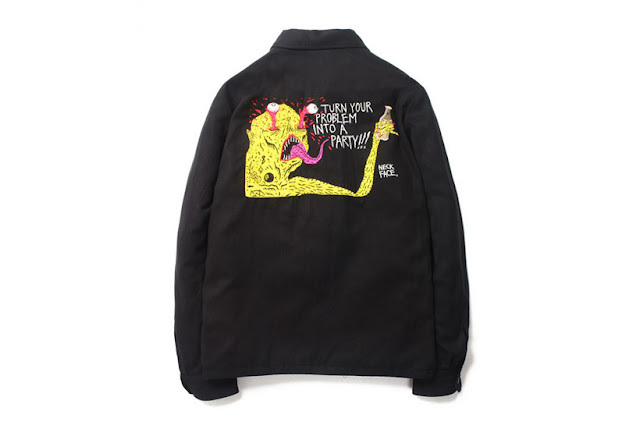 Paradise Tokyo, the flagship store of Japanese cult street fashion label WACKO MARIA, commemorates its first anniversary with Neckface. The graffiti artist’s humorous, grotesque imagery finds its way onto T-shirts, Hawaiian shirts, souvenir jackets, sweatshirts and rayon ’50s shirts, turning to heavy metal for graphic inspiration. 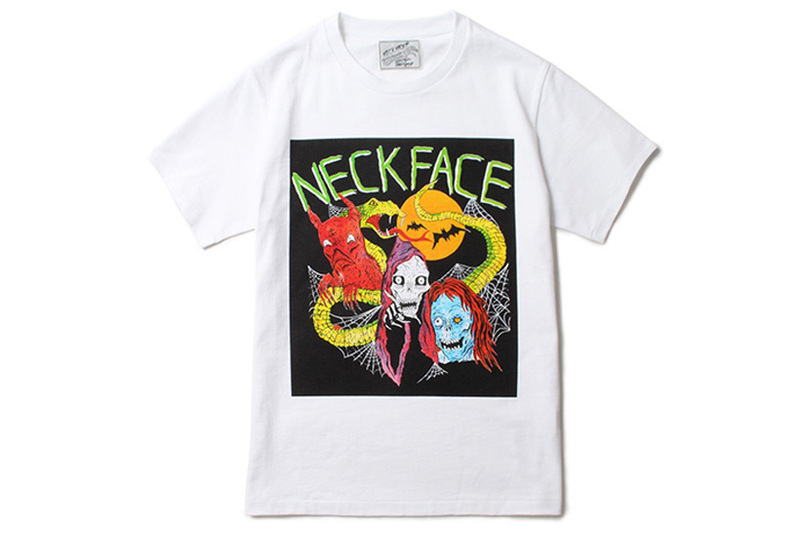 The collection will be available on September 9 to September 25. A party will take place on the release day, where a zine commemorating the collaboration will be available for purchase, alongside Neckface’s original artwork and posters.